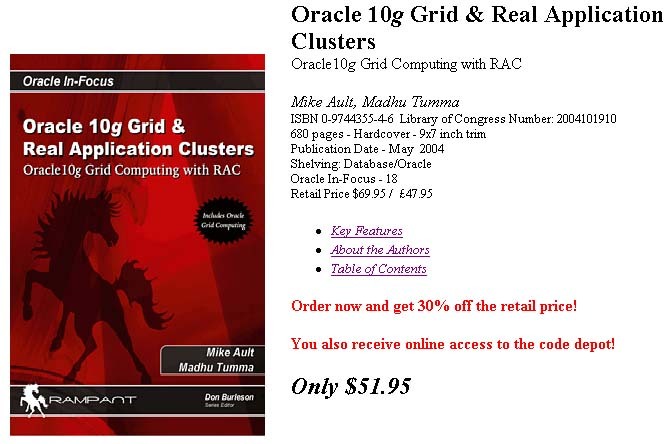 Oracle10g grid configuration is a key feature in this indispensable book on Oracle10g grid configuration, failover, parameters, tuning, and installation. On every DBA's shelf should be this Oracle10g grid configuration book. 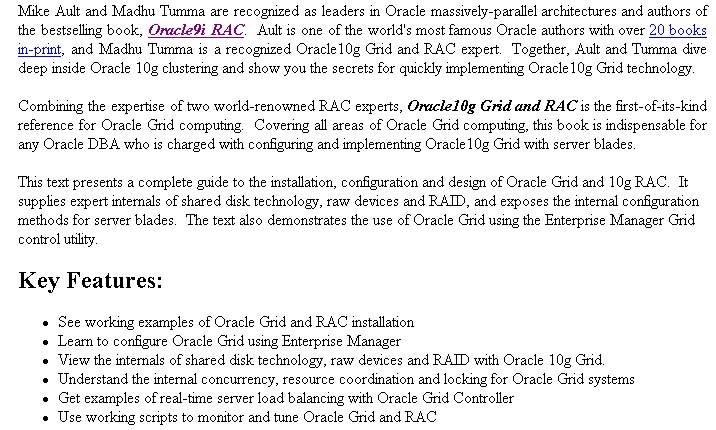 An Oracle10g grid configuration book you should not miss!